It says something about the 2013 F1 season, that even when severely compromising himself, sitting in the garage while all else are out on the track when it's at its best, Sebastian Vettel still prevails. We know that Vettel has just taken two decisive wins at tracks - Spa and Monza - that were supposed to be where he exercises damage limitation, rather than dominate. And now, entering the Asian leg of the calendar that Seb always seems to have to himself, and racing at a Singapore track on which he's won in the last two visits and has characteristics that suit the Red Bull down to the ground, things looked ominous for his rivals. Some optimists thought it possible that the Bulls had concentrated disproportionately on their low downforce spec, so they may, relatively, be less strong here than usual. But it turned out that from the point of view of the rest Cassandra herself would have been closest to the mark. Red Bull - and more to the point Sebastian Vettel's Red Bull - has been absurdly, insultingly, quicker and more stable-looking than the rest just about all weekend at Singapore. And so it continued for most of today's qualifying session, and Seb appeared even to be cruising - giving the walls more respect than just about anyone - as he set his initial Q3 mark a full six tenths under the best of the rest. It looked all over, though Red Bull concurred in extremis as Seb sat in the pits as the rest went out for their final runs. However, as a consequence Seb and his team - having looked to have pole position in a python-like grip - nearly managed to drop it. The decision to put it all at risk by not running again in Q3 was one which Sir Humphrey Appleby would have shot down in flames by telling Jim Hacker that it was 'courageous'. Singapore like a lot of street tracks is one that evolves rapidly, and even those few minutes were enough for the rest to come oh-so close to jumping the chasm. This applied particularly to Nico Rosberg, who always goes well at Singapore and really let it all hang out in the final sector in his last-gasp lap, driving his Mercedes on its very outer edge. 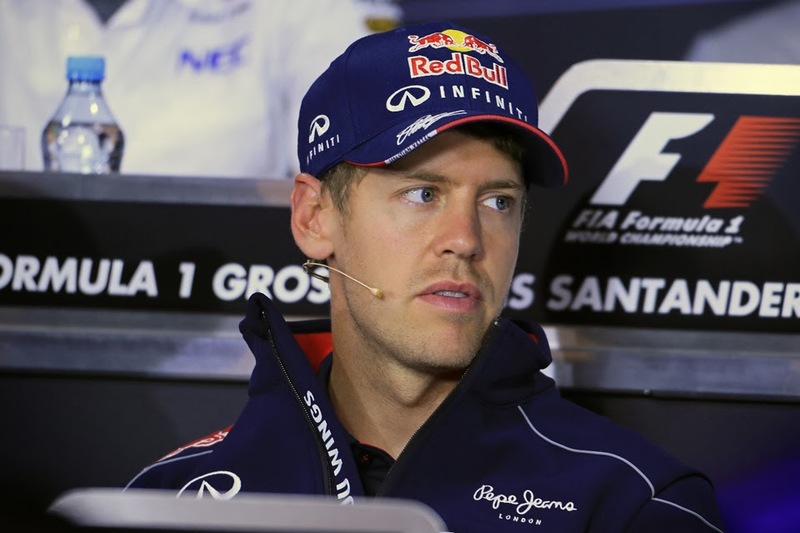 But he missed Vettel's target by just under a tenth. Romain Grosjean in P3 and Mark Webber in P4 got pretty close too to the bullseye. The expression etched on Seb's face at the end of it all betrayed the relief. Mercedes's Ross Brawn was also a little perplexed by the approach: 'I suspect the track picked up a little bit at the end, so it was a pretty brave move...'. But Brawn also, rightly, lauded Rosberg's effort. Had Seb been pipped we'd likely be having fervent discussion right now about over-confidence, unnecessary gambling of a pole they were going to take comfortably, and no doubt would be throwing around plenty of recriminations. But F1 is a results business, and Seb got away with it. 'Surely pole is the best position to start from...I'll try to have a good start and then settle into a nice rhythm' added Seb. And no one doubted him. And as if to underline the risk and reward maxim, he now has an extra set of fresh tyres available for tomorrow's race. This provides the latest layer to the feeling that barring unusual happenings he will not be beaten tomorrow. Behind the order is slightly unusual. To look at the biggest picture today Ferrari seems to have let whatever delicate championship hopes that it was clinging to slip from its grasp. In a weekend that was touted widely as a last throw it's been regularly eight tenths to a second off the pace, and in qualifying we had roughly the same result. The red cars will start from sixth and seventh, with Felipe Massa squeaking ahead once again (despite looking seriously off it for most of the weekend). 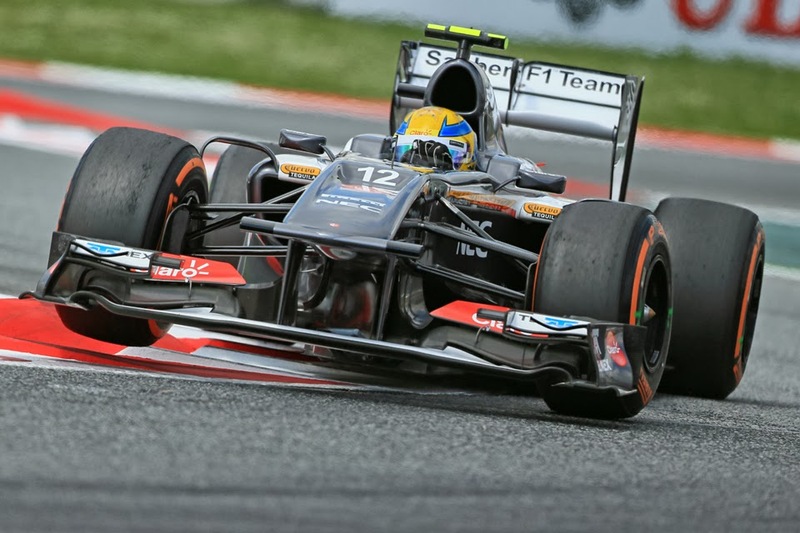 Alonso's hopeful of salvaging a podium finish, but even that doesn't feel like enough. It was a day for getting one over more haughty team mates. 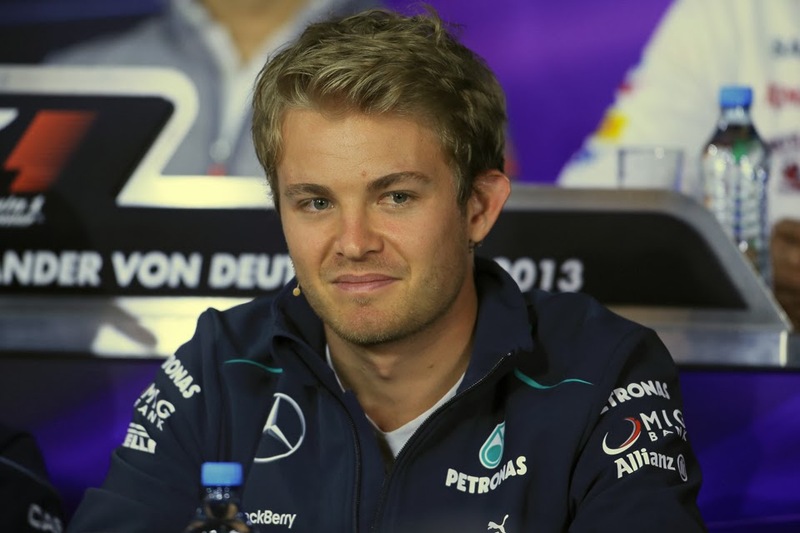 Lewis Hamilton will start in fifth after his best was a full three tenths slower than Rosberg's mighty tour. While Kimi Raikkonen apparently has had problems with his back which contributed to him qualifying ten places down on Grosjean, in P13. And there are worthy shout-outs required elsewhere. 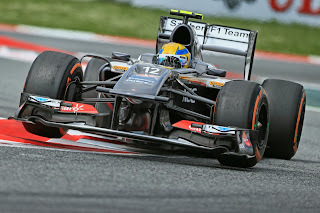 First of all to Esteban Gutierrez, who for the first time in his fledgling F1 career got the job done in qualifying, and clinched a place in the final session with the seventh fastest time. He didn't run in the that last session and thus will start tenth. But he's been going better in races recently so it's encouraging that he looks to be starting to nip the qualifying thing in the bud. While Daniel Ricciardo once again got into the qualifying top ten, and will start from ninth place tomorrow. Ignore the cynics, this is why he got the Red Bull gig. And what a Red Bull gig it is. Of course, there's many a slip between cup and lip as they say, and F1 is a pursuit which takes particular relish in biting its leading protagonists at the least expected moment. But short of something very strange happening it's hard to see anyone other than Seb triumphing in the 2013 Singapore Grand Prix.